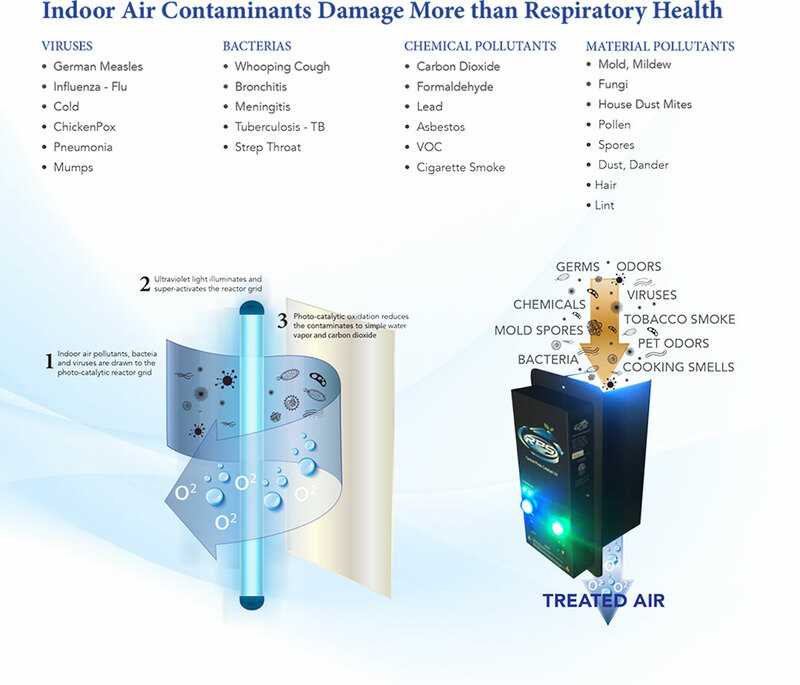 The EPA has now ranked indoor air pollution among the top 5 environmental dangers facing today’s public. You spend about 90% of your time indoors. The quality of indoor air can be two to five times (and even up to 100 times) more polluted than the worst outside air. The numbers are out! There has been an alarming increase in the number of children with severe allergies and asthma. According to the American Heart Association and Lung Association allergies, asthma, lung cancer and heart problems have all been linked to poor indoor air quality. You inhale approximately 20,000 breaths of air per day. You likely understand the health benefits of clean water. Yet, most people are unaware of or ignore the importance of breathing clean air. Without high-powered fans or thick filters, the RPS UV combines the power of two highly regarded contaminant fighting technologies – ultraviolet light and PCO (photocatalytic oxidation). 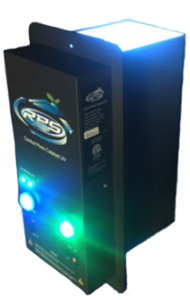 The RPS UV utilizes two, germicidal ultraviolet lamps that produce a total of 2400/4800 microwatts of contaminant killing power that destroys airborne bacteria, mold, fungi, viruses, volatile organic compounds (VOC’s) & odors. The powerful UV light is reflected throughout the chamber coming in contact with the chambers photocatalytic paint. This powerful combination quickly and efficiently oxidizes household contaminants into simple water vapor and carbon dioxide.